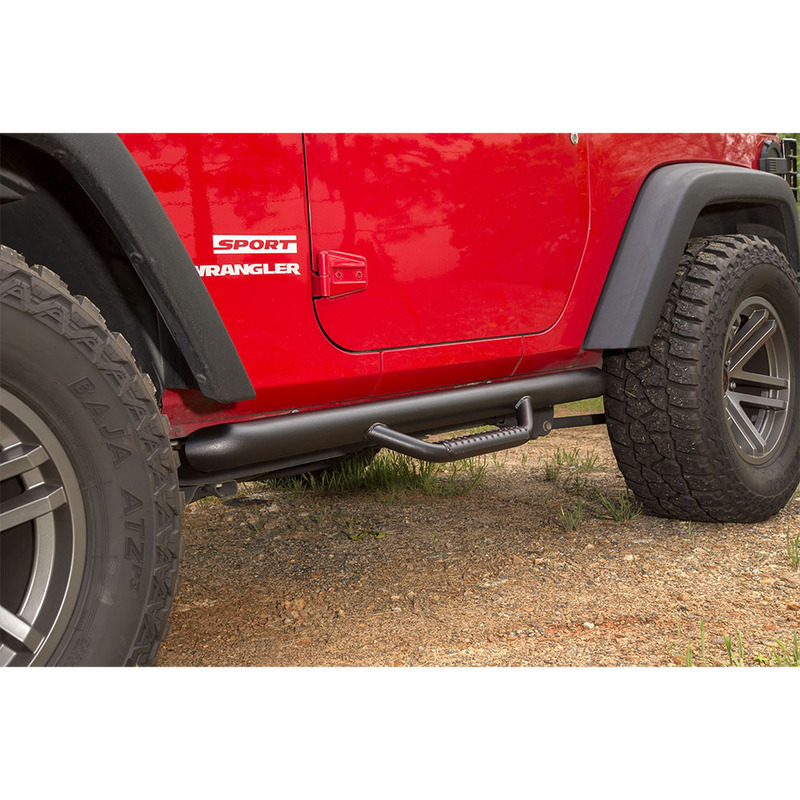 Jeep Wrangler Nerf Bars Pair. Textured Black Finish. 2012, 2013, 2014, 2015, 2016, 2017, 2018 Jeep Wrangler JK 2 Doors Models Only. Includes Pair of Nerf Bars with Step and all necessary installation hardware and installation instructions. 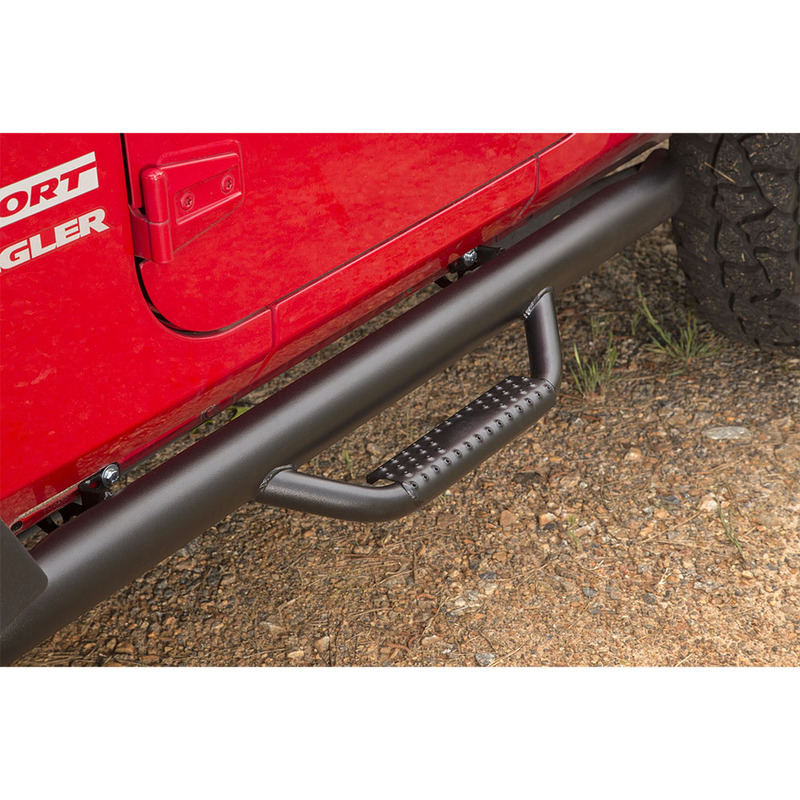 Rugged Ridge Spartan Nerf Bars are the ideal solution for JK owners looking for a little help climbing into their lifted Jeep without sacrificing that aggressive off-road attitude. Spartan Nerf Bars feature a 3-inch OD primary tube that fits in a higher position than conventional tube steps offering a cleaner look, while patented drop-down step hoops at each door gives you firm footing for easy entry & exit.